The choice of the period in which the olives are harvested is a determining element – along with those related to the following stages of production – of the oil’s organoleptic, nutritional and health-giving qualities. The Ancient Romans, who were already experienced olive growers, were well aware of the fact that olives at different stages of ripeness would produce different qualities of oil, and distinguished between oleum ex albis, obtained from green olives, oleum viride, from nearly-ripe olives, oleum maturum, from black olives, oleum caducum, obtained from olives picked off the ground, and oleum ciborium, when the olives had been affected by parasites. Deciding on the perfect moment to harvest the olives is even now something that is based more on empirical experience than scientific calculation. The relationship between the level of ripeness and the quality of the oil varies from area to area, according to the variety of olive and how the trees have responded to variations of the microclimate over the course of the year. On the slopes of Gargano in Puglia, home to the olive groves where Antonacci oil is produced, the olives are harvested between the months of September and December, as the moment when the process of veraison (the olive’s change of colour from green to black by way of purplish) is at 50-60% of its cycle is considered the best moment to do so. It is at this moment that the olives contain the highest concentration of the phenolic compounds that give rise to the exquisite organoleptic qualities of Antonacci organic extra virgin olive oil. The olives are harvested manually by means of pneumatic rakes with extendable shafts which, when pickers ‘comb’ the branches of the tree, cause the olives to fall onto special nets set up underneath the tree. 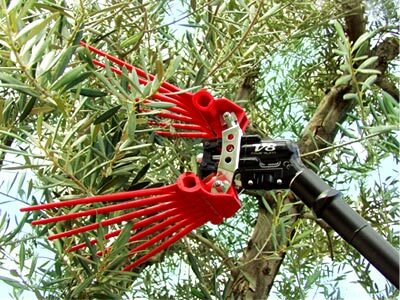 The modern rakes’ fast vibration rate (over 1000 beats per minute) reduces the risk of damaging the plant and the olives. The time that passes between the harvesting of the olives and their being processed in the mill is another of the many elements involved which affects the quality of the oil and its ability to retain its properties over time. Like all fruits, olives also ‘breathe’ in storage, generating heat and also gradually consuming the beneficial polyphenols. The only way to minimise this damaging process is to transport the olives to the mill and press them as soon as possible. That is why Frantoio Antonacci, capable of managing large incoming volumes of olives, ensures that the processing begins within 10 hours of the harvest. 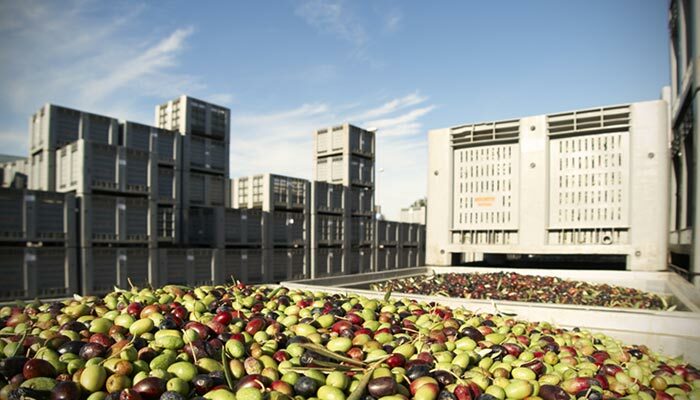 Furthermore, before processing starts, we ensure that the olives are not bruised, mouldy or shrivelled, and that they have been transported and stored so as to be sheltered from the rain and in crates that allow for a minimum of ‘suffocation’ and maximum ventilation for the olives. The first step of processing olives in the mill is defoliation and debranching, which is used to remove twigs and leaves that would negatively alter the organoleptic properties of the oil (with the flavour of wood or leaves, according to the dry or fresh residues of the tree). The subsequent washing of the olives is a necessary step in the process in terms of hygiene: the meticulous removal of the remaining leaves, debris, stones and other impurities is an essential requirement to guarantee the necessary hygiene conditions to produce a high-quality oil. 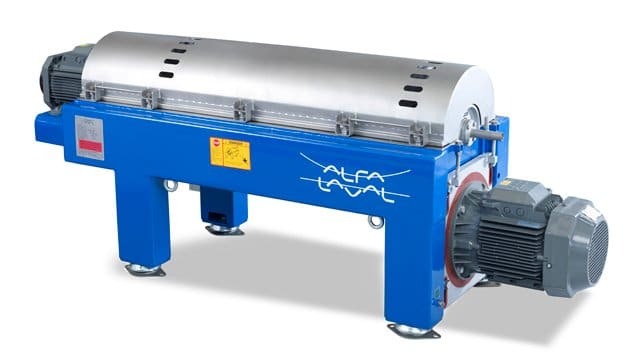 A gentle yet effective washing stage before the oil is extracted also helps to protect the machinery from excessive wear and to safeguard the integrity of the fruit. 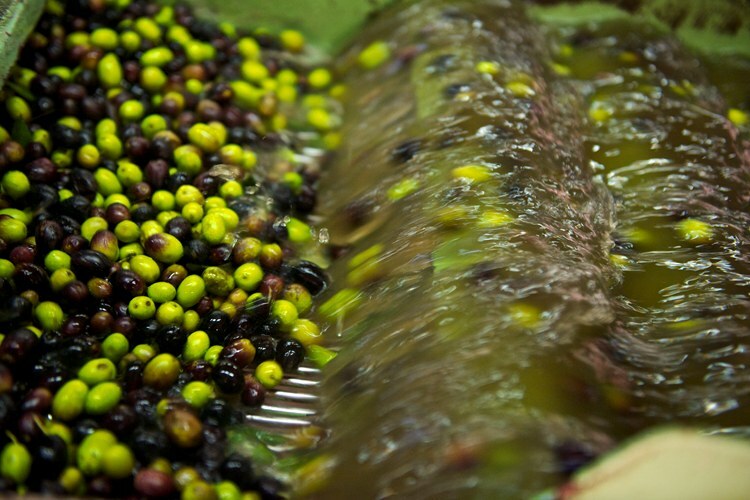 In the ‘washer’, the olives are washed by immersion, as they are constantly mixed under the water. The washing water is frequently changed in order to ensure that the product is as clean as possible. The washing phase is followed by the rinsing of the olives with drinking water, which is carried out in the final section of the washer using a shower sprayer, thereby allowing for the last remnants of earth to be removed from the olives before they are sent to the crusher. The cleaning step is followed by the pressing, wherein the skin, flesh and pit of the olives are ground into a paste made up of more or less coarse fragments. It is possible to control the granulometry of the paste (i.e. the size of the fragments that make up the paste) so as to accentuate or reduce certain organoleptic qualities of the oil, such as bitterness or spice. 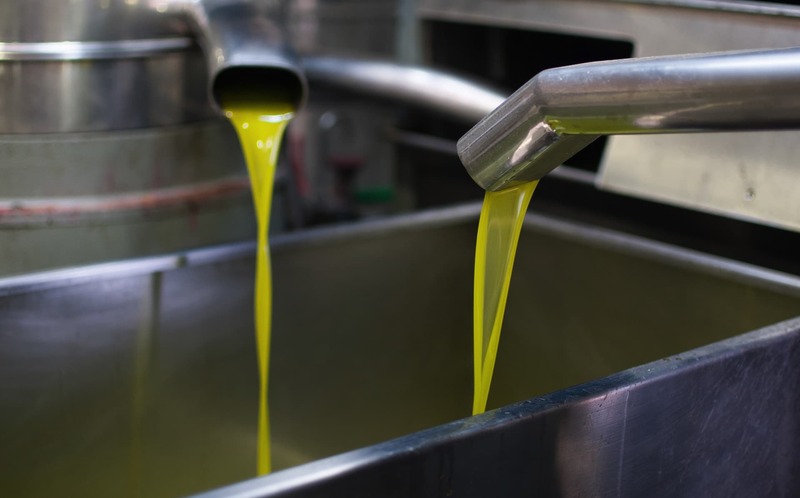 The pressing is a critical step for the quality of the oil as this process causes the activation of the fruit’s enzyme content, which catalyses various biochemical reactions that are at the heart of the sensory and health-giving characteristics of extra virgin olive oil. Frantoio Antonacci uses a hammer crusher. This consists of an internal cross equipped with hammers which, spinning at high speed (between 1200 and 3000 rpm), force the olive paste through the holes of a steel grid, reducing it to a homogeneous paste which is ready for the kneading stage. The kneading operation causes the breakdown of the oil-water emulsion, allowing for the small droplets of oil to form larger drops that can be easily separated in the subsequent steps. 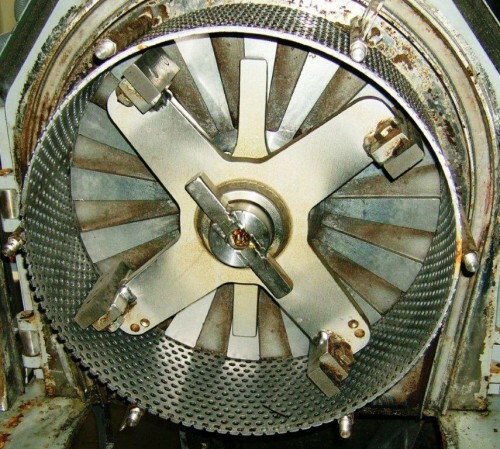 The kneading machine is a steel tub containing helical blades that rotate at the speed of 20-30 rpm. This step is one of the most carefully controlled, especially with regard to parameters such as processing temperature and time, which have a strong influence on quality markers such as phenolic fraction and composition of high sensory-impact volatile substances. At Frantoio Antonacci, kneading is performed at working temperatures no higher than 27°C in general (referring to cold kneading, in this case) and for around 30 minutes, thereby maximising the olfactory and gustatory characteristics of the oil. By way of positive displacement pumps, the paste which is passed out of the exit of the kneading machine is ‘pushed’ into a horizontal-axis centrifuge, commonly known as a decanter. A certain quantity of water at a controlled temperature is added to the paste (between 20 and 50 litres of water per 100kg of paste to be centrifuged) which, by diluting the paste, facilitates its separation during the next stage. The decanter is made up of a cylindrical-conical drum on a horizontal axis that spins at a speed of 3500 rpm. Due to the effect of differing specific weights, the centrifugation separates the mixture into three “phases”: oil must (containing a small fraction of vegetation water), vegetation water, and pomace (solid phase). Inside the drum, which is coaxial with it, an auger spinning at a low speed (10-20 rpm) conveys the solid part towards the exit. The oily must, made up of oil and vegetation water, is separated by way of a vertical centrifugal separator consisting of a rotating drum with internal diaphragms. Inside, there are various conical discs stacked on top of one another with small spaces between them. The must enters the drum by way of a central pipe and distributes itself between the discs, forming many thin layers of liquid so as to make the effect of centrifugal force more effective, as it acts differently on the heavy liquid (the water) and the lighter one (the oil), sending the former towards the edges whilst the latter accumulates in the central part of the drum.